Eternal Death will be live in London, Friday March 20th at The Garage, Islington. Violence will be released via Swedish label Labrador Records on by Eternal Death’s new Self-titled LP on 16th March. Recent comparisons include Scandi comrades Robyn, Young Galaxy and Kimbra. Recent support from The Guardian, The Line Of Best Fit and Clash Magazine to name a few has helped move a bunch of tickets for next months UK show. Eternal Death returns with their latest single Violence taken from their forthcoming self-titled debut album. Violence is a harsh, almost industrial witch house track that screams and shouts around the hauntingly atmospheric vocals of Elin Berlin. ?Between the sharp synth beats and Elin’s tender vocals, Violence might be considered a fun, or playful song that has elements of Young Galaxy and Kimbra but it’s really staring into the darkness. This is credible pop at its finest; it’s rugged, evocative and a coolly modern piece of synth pop. 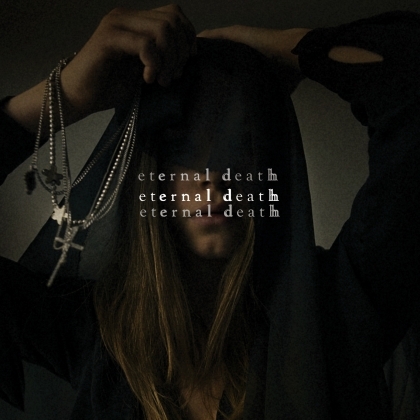 Eternal Death is the perfect amalgamation of Verite, Austra and Human League whilst maintaining their own distinctive sound.